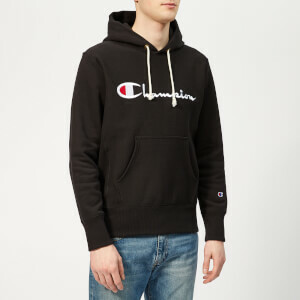 Pioneers of the sweatshirt, premium athleisure label Champion creates classic designs elevated with superior craftsmanship. 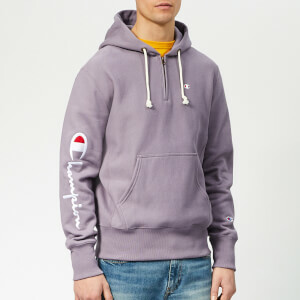 The purple hoodie is crafted from pure cotton using reverse technology (a technique to avoid horizontal shrinkage), which is characterised by the sweater's side panels. Features an adjustable hood, small script logo embroidered to the chest and a kangaroo pouch pocket. 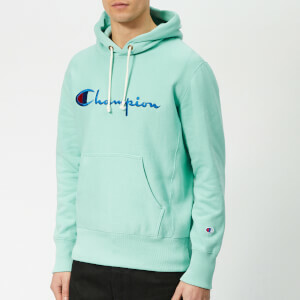 Finished with rib-knit trims and signature 'C' logo affixed to the left sleeve; a logo and positioning synonymous with the brand since the '50s. Soft, brushed fleece internal. Custom fit.